Witnessing the birth of an antelope – Timing is everything when out on the reserve. 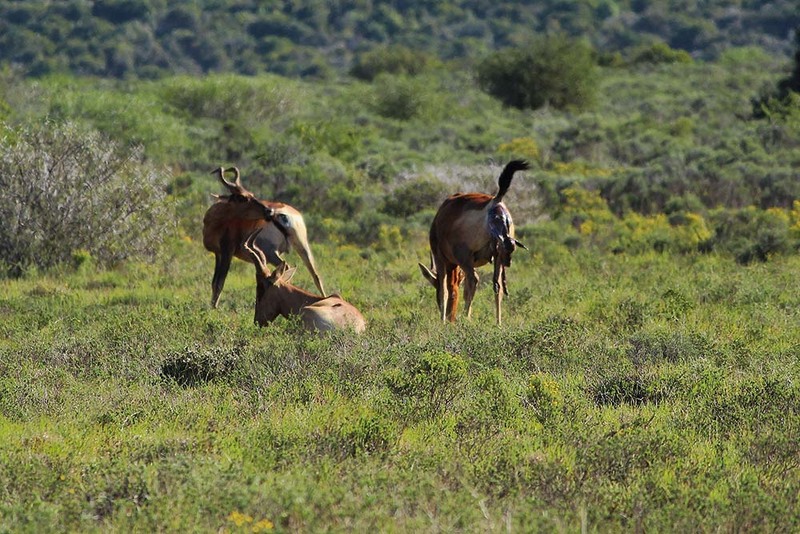 By happenstance one of our volunteer vehicles noticed a red hartebeest in labour so settled down to see what might happen. They ended up witnessing the entire birth, with the calf standing and feeding within minutes of being born. 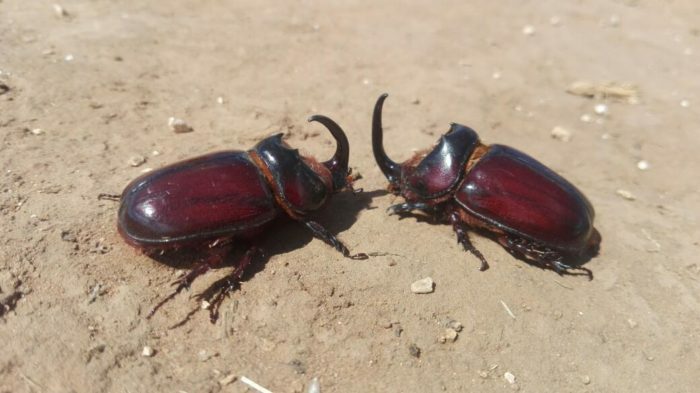 DID YOU KNOW – That the rhino beetle is one of the strongest pound-for-pound insects in the world. Night patrol activity – One of the highlights for many volunteers is the opportunity to join a night patrol alongside our anti-poaching team. The presence of vehicle s on the reserve alone is a deterrent and there’s the bonus of potentially seeing nocturnal animals going about their business. 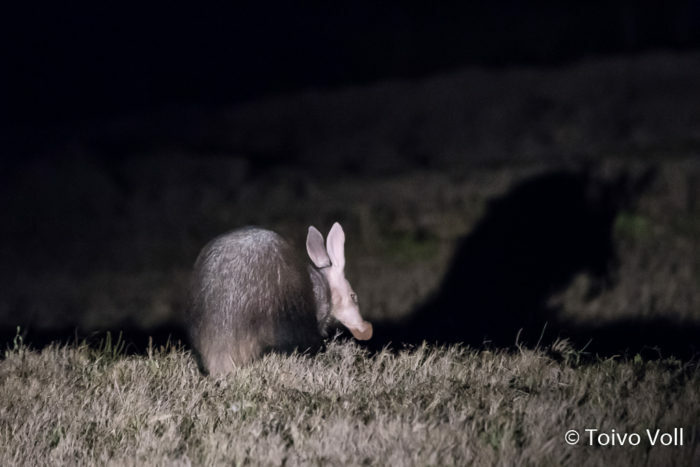 One night patrol this month the team saw an aardvark, such a special sighting as they are rarely seen. Community recycling swap shop – A relatively new initiative in Colchester is the creation of a recycling swap shop. Along with Sunshine Coast Charity Trust our volunteers help to manage and run the swap shop once a month in the township. Kids bring along all their recyclables and exchange them for tokens which can be used to buy food, clothes and toys.